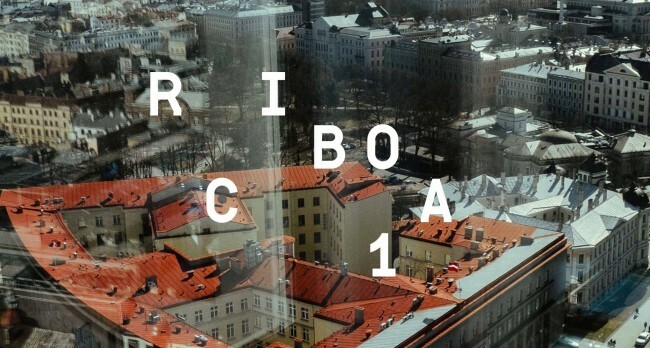 The 1st Riga International Biennial of Contemporary Art (RIBOCA1) is pleased to announce the artists who will participate in the first edition. A total of 99 artists including 10 collectives will be participating in the biennial. During the biennial 113 works – including 49 new commissions – will be shown in nine different venues across Riga. There will also be 10 public sculptures and site-specific interventions in various locations around the city. Many of the participating artists will present more than one work, appearing in several of the venues, thus providing an opportunity for visitors to gain a more in-depth insight into their practice. The artists participating in the public program and making performances will be announced at later date. Chief curator of the 1st Riga Biennial (RIBOCA1) is Katerina Gregos, curators of its public programme is Kolektivs (Zane Zajančkauska & Ilze Kalnbērziņa Praz), and associate curator is Solvej Helweg Ovesen. The Riga International Biennial of Contemporary Art (RIBOCA) announced nine main venues, which will host the inaugural edition of the biennial and its related public programme and events. The majority of these spaces are within 20 minutes walking distance of each other, creating a sustainable parcours and allowing visitors the time to experience the exhibition and the artists, as well as to discover the city. The selected venues reflect Riga’s diverse cultural and architectural history: from medieval and 19th century traditional wooden buildings and pre-war Art Nouveau; to Soviet modernism and impressive industrial architecture. The spaces not only serve as an aesthetically captivating frame for the concept of the biennial and its artworks but are also an integral part of the broader cultural and historical narrative of the city of Riga and the wider Baltic region. 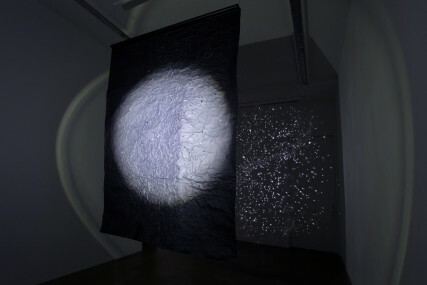 Sophia Pompéry: Atlas, 2017; installation	NOWs: Møenlight Sonata – A homage to the starry sky of Møn KUNSTHALL 44MOEN, DENMARK Nevin Aladağ | Darren Almond | Rosa Barba | KP Brehmer | Olga Chernysheva | Dorothee Diebold | Maria Eichhorn | Ayşe Erkmen | Ceal Floyer | Pravdoliub Ivanov | Till Junkel | Jarosław Kozłowski | Imi Knoebel | Daniel Knorr | David Krippendorff | Alicja Kwade | Simon Lewis | Sine Lewis | Bjørn Nørgaard| Navid Nuur | Alexandra Paperno | Nam June Paik | Dan Perjovschi | Sigmar Polke | Sophia Pompéry | Ursula Reuter | Superflex | Mariana Vassileva | Els Vos | Lawrence Weiner | Mariaa Wirkkala Curated by René Block To celebrate its tenth anniversary, Kunsthal 44Møen will put together a special constellation of stars under the lyric name “Møenlight Sonata”, alluding to Beethoven’s 14th sonata for piano, which he also referred to “quasi una fantasia”. The show will present a cross-section of the Kunsthal’s program so far, as well as newly commissioned works by artists from Bulgaria, Finland, Germany, Great Britain and Turkey that are still new to the island. What connects the works of these individual artists is the specific use of light, as subject and material. Light (or the absence of it) is not only one of the oldest topics in art history, but also a special condition on Møn – during the day, but also at night.The 10 year anniversary of Kunsthal 44Møen is conceived to be a summer festival, an invitation to all groups of local residents and visiting guests to celebrate the sky over Møn. Sophia Pompéry: Atlas, 2017; installation	NOWs: Møenlight Sonata – A homage to the starry sky of Møn KUNSTHALL 44MOEN, DENMARK Nevin Aladağ | Darren Almond | Rosa Barba | KP Brehmer | Olga Chernysheva | Dorothee Diebold | Maria Eichhorn | Ayşe Erkmen | Ceal Floyer | Pravdoliub Ivanov | Till Junkel | Jarosław Kozłowski | Imi Knoebel | Daniel Knorr | David Krippendorff | Alicja Kwade | Simon Lewis | Sine Lewis | Bjørn Nørgaard| Navid Nuur | Alexandra Paperno | Nam June Paik | Dan Perjovschi | Sigmar Polke | Sophia Pompéry | Ursula Reuter | Superflex | Mariana Vassileva | Els Vos | Lawrence Weiner | Mariaa Wirkkala Curated by René Block To celebrate its tenth anniversary, Kunsthal 44Møen will put together a special constellation of stars under the lyric name “Møenlight Sonata”, alluding to Beethoven’s 14th sonata for piano, which he also referred to “quasi una fantasia”. 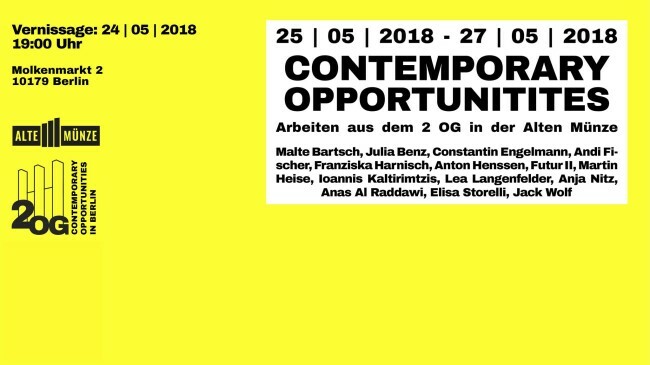 The show will present a cross-section of the Kunsthal’s program so far, as well as newly commissioned works by artists from Bulgaria, Finland, Germany, Great Britain and Turkey that are still new to the island. What connects the works of these individual artists is the specific use of light, as subject and material. Light (or the absence of it) is not only one of the oldest topics in art history, but also a special condition on Møn – during the day, but also at night.The 10 year anniversary of Kunsthal 44Møen is conceived to be a summer festival, an invitation to all groups of local residents and visiting guests to celebrate the sky over Møn.